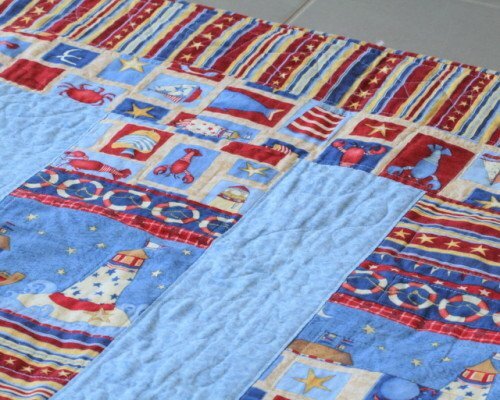 "A couple of years back I made two quilts for two beautiful babies. 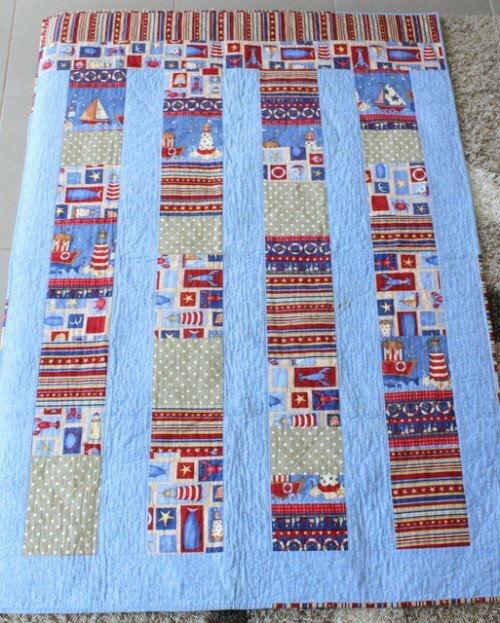 Their Mums are two of my best friends so quilts were the perfect baby gift. I wanted simple but not too simple and I had found two great sets of fabric to use for them. One was super pretty in pinks and greens and mauves with babushka dolls, and the other was classic boy denim blue with red and yellow in a design of boats and water. Those babies are both awesome big kids now. "I enjoyed making these quilts. I remember praying for those babies as I stitched and loving the process of cutting and piecing. 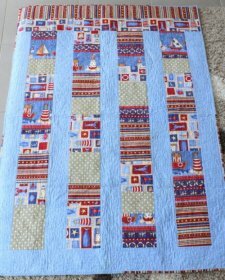 I practiced some new free motion quilting on these quilts when I had not done much quilting, and learnt some tricks as I went along."